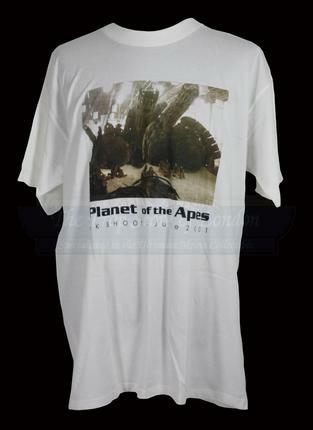 A crew t-shirt from the Tim Burton sci-fi movie Planet of the Apes. 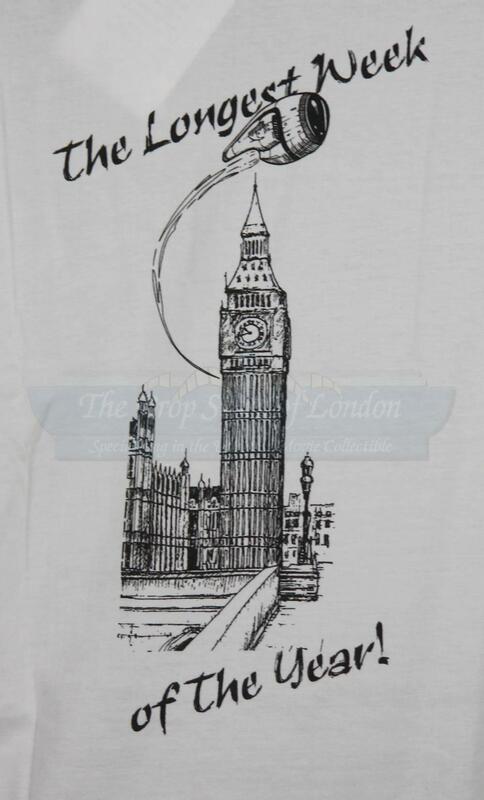 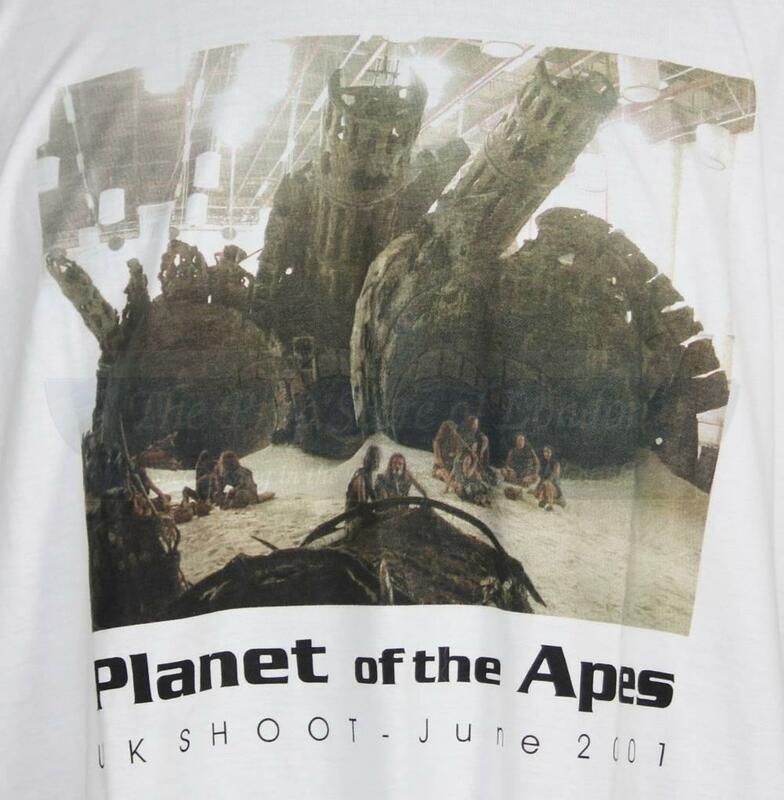 The shirt has an on set photo printed on the front with “Planet of the Apes, UK Shoot – June 2001” and the back the back has a cartoon drawing of Big Ben with the space pod taking off from behind it, with “The longest week of the year!” printed next to it. 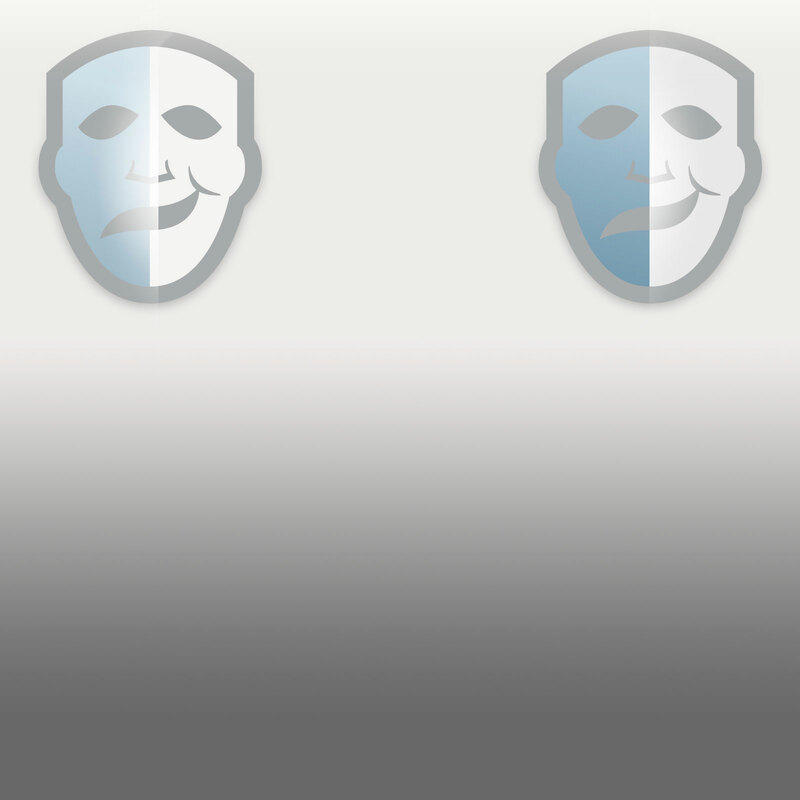 Size XL and XXL.